Spotted: the Tecnifibre Dynergy APX 135. 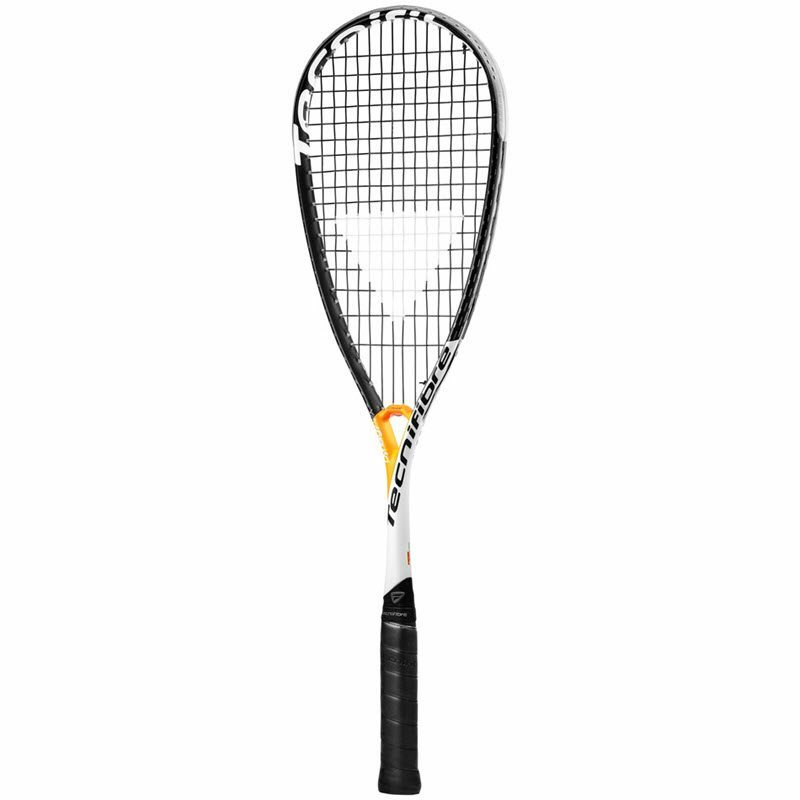 This is the 2019 replacement for the Tecnifibre Dynergy AP 135. There’s more info on the Tecnifibre Dynergy APX page. Hit with one yesterday, this will be my new choice of racket, big improvement from the ap range, it has almost no vibration, exceptional power and a lovely balance. Correction on the specs: the APX135 comes with synthetic gut strings, not the posh orange X-One. Picked this up on a deal at the Canary Wharf Classic on Sunday. The lopsided Technifibre text makes it looks misshaped, but it’s not. I absolutely love the grip cap. It weighs 156g all-in, compared to 161g on my Carboflex 135S. For me, a beginner, I reckon it will serve me better, but I definitely need to get used to it (felt the difference in head size, more shanks off the frame, but bigger sweet-spot than 135S when I did manage to find the strings). Need to upgrade the string, as I feel the 305s on my Carboflex are far superior.